Just in case you didn't guess this was my latest entry. I have to say it wasn't my best work because my original idea had been inspired by a crafter a few seasons ago and I didn't feel like it would be fair to use it. I love the Dollar Store Crafts challenge. I mean what better challenge than to work with products from a store not known for its mad crafting supplies. So while I was there I had a genius idea. 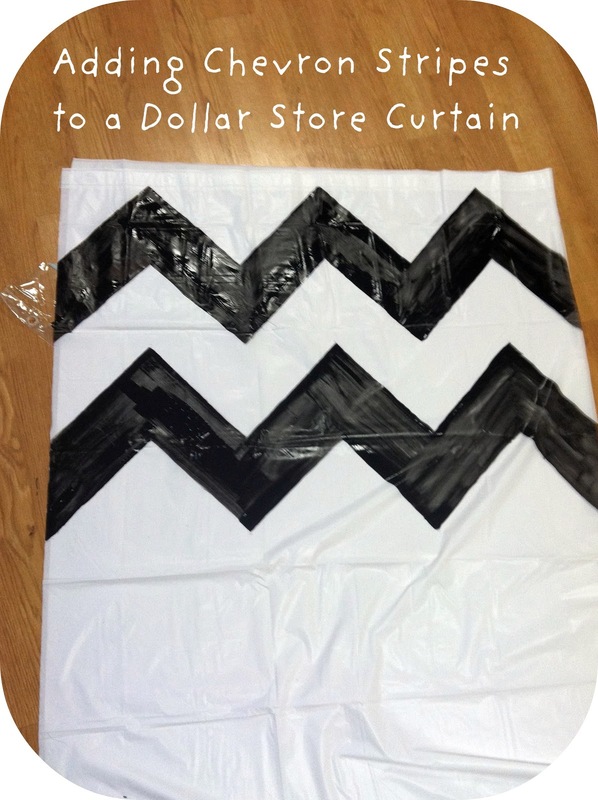 I would make an ombre ruffled shower curtain. I grabbed a bunch of shower curtains and headed home to get started. 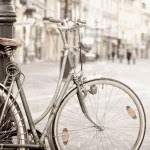 Then I realized that I saw something similar done during S.Y.T.Y. C. Season #7 by See Kate Sew. Bummer, but great minds think alike? 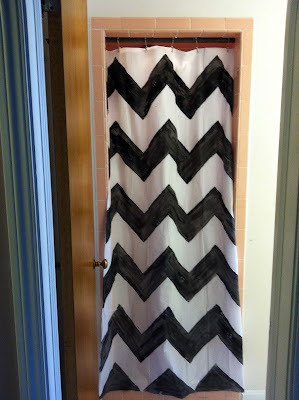 Now I had several shower curtains and nothing to do until it struck me, make a Chevron Shower Curtain. 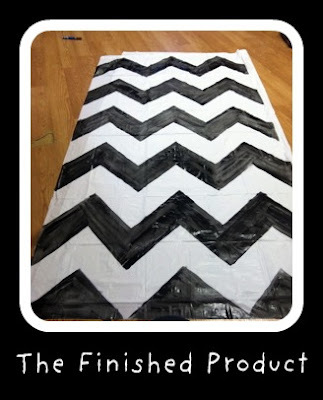 Chevron is hot right now (an understatement) and I have paint so why not. I need let it dry overnight. Now I just needed to hang it up. 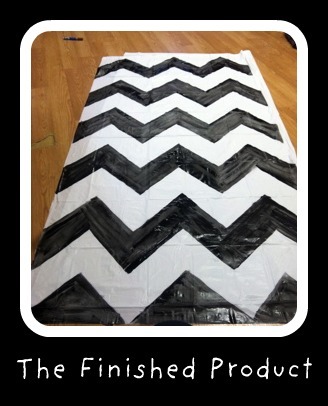 I love Chevron, now I want to remake my bedroom into a black and white haven. Oh and the total cost for the new shower curtain $1.00. 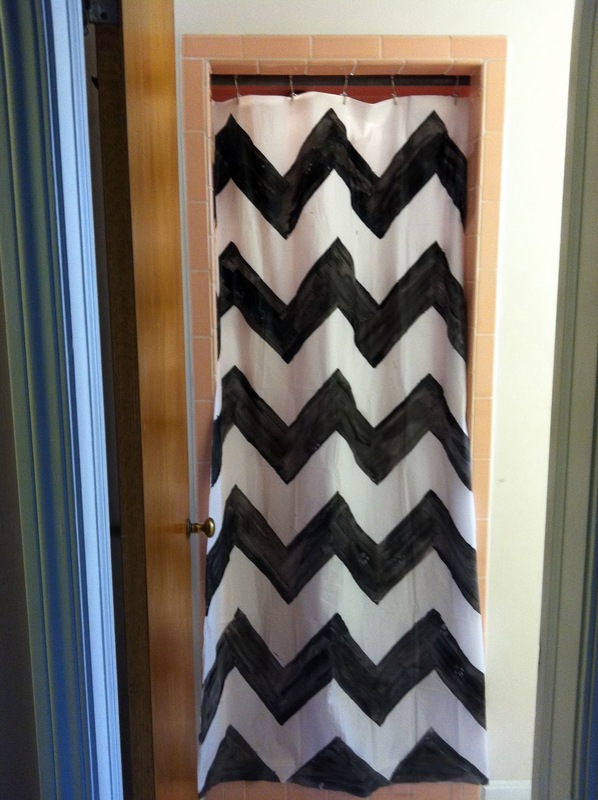 Not bad because when I looked up Chevron Shower Curtains they run between $78.00 and $95.00 each.